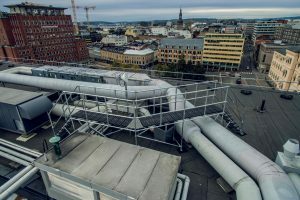 A COMBINATION of safety products from Kee Safety have been installed on the roof of the Oslo Kongressenter building in Norway to provide a first-class edge protection solution for maintenance and inspection teams accessing the rooftop. Located in the heart of Oslo in Norway, Oslo Kongressenter is a state-of-the-art conference centre consisting of more than 20 event rooms. The Congress Centre hosts nearly 1,000 events every year, ranging from smaller meetings and major conferences to banquets, Christmas dinners and concerts. The history of the “People’s House” dates back to the end of the 19th century, however today’s building was completed in 1989. 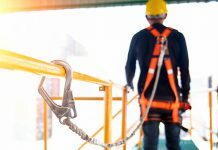 With maintenance teams regularly accessing the roof to carry out work on the building services equipment, the client required a complete roof edge protection and safe access solution. 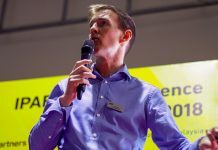 Kee Safety partnered with long-standing distributor, Unisystemer to provide technical assistance by carrying out a full site survey, as well as making layout plans and detailed technical drawings, which were used in the presentation to the end user. Due to the client specifying that no holes should penetrate the watertight membrane on the roof of this iconic building, KeeGuard free-standing roof edge protection and Kee Walk Step-Overs were the chosen Kee Safety solutions. 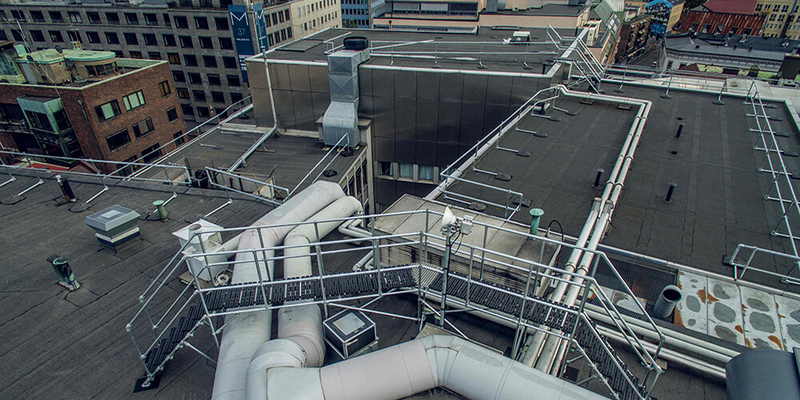 380 linear meters of KeeGuard Standard and Premium systems were installed along all sides and roof levels, while Kee Walk Step-over platforms were fitted to provide a safe means of access over pipework and other equipment. Compatible with a range of roof membranes, including concrete, asphalt, PVC membrane, metal and felt, KeeGuard offers a free-standing roof edge protection system capable of keeping workers on the roof safe without endangering the roof membrane itself. It does not penetrate the roof surface and can be used on flat roofs up to 10° slope. Employing a proven counterweight system, KeeGuard combines a non-slip secure base with galvanised fittings and tube arranged in a modular configuration. Fully modular and versatile enough to adapt to most roof edge profiles and level changes, sections can be easily taken down and re-erected as necessary. Kee Walk Step-overs are modular systems that can accommodate changes in roof levels and can fit over pipework or equipment to offer a safe, anti-slip, level walking surface onto and across roofs. With adjustable step sections, and non-penetrative fixing options, the step-overs have the inherent flexibility to not only protect those accessing the roof, but to also protect the roof sheet from unnecessary foot traffic and potential damage by providing a clearly defined access path. 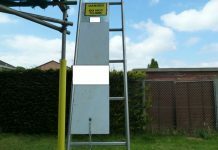 There is the ability to meet virtually any design requirement, with the end result always being a safe, secure and compliant access platform. Kee Walk Step-overs are constructed using Kee Klamp tubular fittings. Each fitting incorporates an internal set screw to lock the respective fitting safely and securely onto the tube to create a strong, stable and safe structure. This method eliminates the need for time-consuming welding or specialist skills or tools, saving contractors both time and money on site. The Kee Walk Step-over range has been designed in accordance to EN 14122-2/3:2016 for assured safe operation with the Kee Walk being compliant to EN 516 Class 1-C.